What is a Fiction Podcast? Fiction podcasts are an emerging medium of storytelling in which the story is told completely through the audio medium. Fictions Podcasts are scripted, serialized stories that serves as a revival of the radio play. A fiction podcast can be any genre (sci-fi, horror, drama, adventure, etc.) as long as it is scripted. What's the difference between a screenplay and a fiction podcast script? The main difference between the two is the medium for which the story is intended. Considering the focus on audio rather than visuals, you shouldn’t describe character movements, or anything that cannot be “heard” by a listener, but instead detail sound direction and audio cues that help to tell the story. 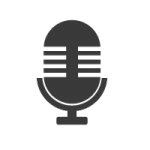 There is not a podcast format that has become standard in the industry yet. That being said, scripts should be formatted like an Audio or Radio Drama. There must be a series outline at the end of the script. Can you recommend any good examples of a Fiction Podcast? Some of our favorites are: Homecoming, Sandra, The Truth, The Bright Sessions, and Life After. These podcasts are good examples to show the range of formatting differences – The Truth is an anthology series with all episodes all following a common theme. Homecoming has two distinct seasons following the same story, The Bright Sessions has many episodes all following one storyline, and Life After is a great example of a limited series. All Fiction Podcast scripts must submitted online by the final deadline Friday, July 5th, at 11:59PM PST to be eligible for the competition. Regular submission closes on May 15th, at 11:59PM PST. When will I be notified of my placement? All entrants to the Fiction Podcast Script competition will be notified via email and postal mail (US only) by mid-September! Please make sure we’re not going to spam in your email if you are an entrant! The winner will be announced at the Awards Luncheon on Saturday, October 26th. How many episodes can I submit? In one script submission, you may include up to three episodes and a series outline at the end. Can I submit an anthology series? Yes! As long as the episodes are still 3-30 pages and have a common theme. Can I submit my podcast if it's been produced? No. Scripts must not have been optioned or sold, produced or distributed prior to October 26, 2019. Applicants must notify Austin Film Festival of any changes in status following submission. What is the podcast track? writers/filmmakers understand why this medium will help launch their career! Who is the podcast track for? WRITERS of all kinds! FILMMAKERS of all kinds! Podcasters! Most fiction podcasters started as screenwriters/playwrights or filmmakers! Not only is it an incredible way to get your foot in the door, but it’s also a great chance to try out your story and get it to an audience without a bunch of red tape! Is there a Badge discount for entrants of the Podcast Competition? Yes! All entrants receive $50 off a Conference or Producers Badge, or $25 off of a Weekend Badge. The coupon code can be found in your confirmation email. Entrants that advance to the Second Round or further are eligible for even more significant discounts on Badges. Entrants that reach the final round will be provided a complimentary Producers Badge to attend AFF. What badge should I get to experience the podcast track? Any badge! You can select “I am interested in Podcast Programming” for each level badge. Each Badge offers varying levels of AFF access. You can get access to our incredible podcast programming with our Lone Star Badge. Did we mention that, in addition to podcast programming, we’ll throw in a whole FILM FESTIVAL for that price – over 175 films, star studded Q&As, not to mention parties! (Pitch Finale Party, Wine Reception, and Film Pass Party). Our Lone Star Badge is a great badge to dip your toe in the water, but if you want to make a career out of this writing or podcasting thing then we encourage you to upgrade to one of our other badges. If you’re only available for the weekend, but you are serious about writing, we encourage you to get our Weekend Badge. This will allow you access to more panels beyond our podcast track, more networking opportunities and exposure to other tracks where you can learn and grow from writers of other mediums. If you’re committed to growing in the art and craft of writing, we encourage you to get our Conference Badge. This badge is going to give you full access to the conference, allowing you to interact with some of the best in the business like Zack Akers, Skip Bronkie, Jenny Turner Hall, Mac Rogers, Lauren Shippen, Tim Street, Benjamin Strouse, KC Wayland and many more! If you’re committed to taking steps forward in your career as a storyteller, our Producers Badge is designed to help you take that next step. This badge will strategically put you in the room with the people you’ve been trying to get a meeting with your whole career, and then we’ll throw a drink and some BBQ in the mix to use the unique Austin vibe to make networking feel like catching up with an old friend. What if I'm a non-fiction podcaster? Come! We’d love to have you. Learning the craft of storytelling is something that applies to non-fiction podcasters. Serial, The Moth – these are storytelling podcasts even if they’re non fiction. Plus – our podcast programming is going to cover things like making money from your podcast and the technical aspects of how to put it together, not to mention letting you rub shoulders with some incredible folks in the industry. Can I submit a spec script of another fiction podcast? No. We do allow this for teleplays, but for the fiction podcast competition, we want original content. Is there any social media for your Fiction Podcast Competition? Why yes, yes there is! Follow our Tumblr, affpodcastcompetition, for information about the competition, AFF events, writing tools, and the occasional podcast recommendation and fanart. Still have questions? Please contact the Fiction Podcast Competition Coordinator, Gabbi Lindgren at gabbi@austinfilmfestival.com or by phone at 512-478-4795.